Home Driving in KSA Other Driving Issues How to Analyze that your Car Wheel Balancing is out? Vibration in the Car: It is thought to be a good habit to check the wheel balancing before going on a long route, but did you know that it has other benefits as well. If the wheels are a little off balance, then we can feel our car vibrating or not entirely in our control. The car could sway off course as well. It is also dangerous to go at high speeds if your wheel’s air pressure is not right or balancing is not done. The steering wheel also vibrates at times due to these factors. Apart from all the dangers of not having your wheels balanced and having the right wheel air pressure, there are also the added benefits of getting these done. 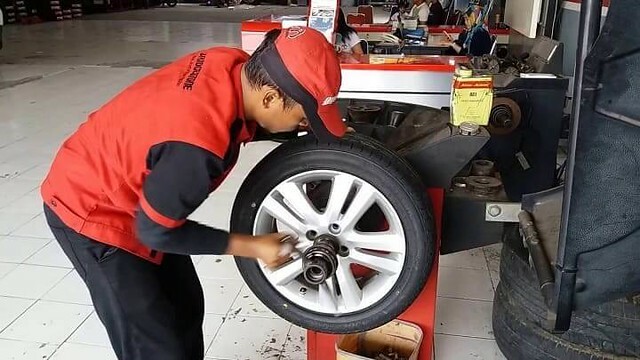 Wheel Balancing increases the fuel efficiency: Experts at Saudi Arabian Center for energy efficiency tell us that getting your wheels balanced and wheel pressure checked regularly increases the fuel efficiency and increases the life of the wheels. How does this happen? It is not difficult to interpret. As the wheels are unbalanced or have low air pressure, the friction between the road and the wheel increases which makes the engine exert more pressure in order for the wheels to turn, because of this more fuel is consumed. This increased friction makes the wheels wear out much earlier. Wheel Balancing does not take much time: Balance Wheels improves the life of the tires as well. 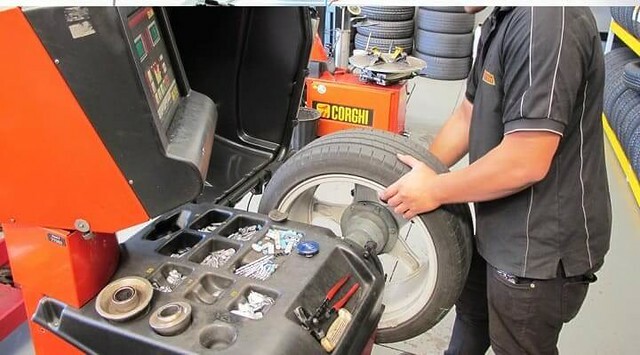 Normally, you should change your car tires after every 50,000 Km. However, if there is some problem with your wheel balancing, you may have to change tires before 50,000 Km. The right air pressure is usually indicated on the side of the door and the wheels can be balanced easily by visiting a workshop. It is not some hectic work to get the wheels balanced and the air pressure checked when we come to think about the dangers it keeps us from and the added benefits are like the cherry on the top. Front Wheel Balance: If you are going on a straight road and leave the steering, the car should continue to move forward straight. In case it is bending towards one side, it means there is something wrong in your front wheels’ balance. You should get it checked and corrected. Rear Wheel Balance: If after a certain speed, your car and its steering start vibrating, it means that you have some problem with your rear wheel balance. Even if you don’t face any of the above-mentioned issues, it is very important to check your wheel balance at least once a year. There are machines available now in every big workshop to check your wheel balancing. I normally check the wheel balancing every time I change my car tires. Normally, I change 2 tires of my car every year and get the wheel balancing checked free of cost.